PIHER 71100 Sheet Metal Punch – Ø100. PIHER 71048 Sheet Metal Punch – Ø48. PIHER 71543 – Sheet Metal Punch Sin Rectificar Ø43. PIHER 71052 Sheet Metal Punch – Ø52. PIHER 71545 – Sheet Metal Punch Sin Rectificar Ø45. PIHER 71551 – Sheet Metal Punch Sin Rectificar Ø51. PIHER 71044 Sheet Metal Punch – Ø44. PIHER 71020 Sheet Metal Punch – ø20. 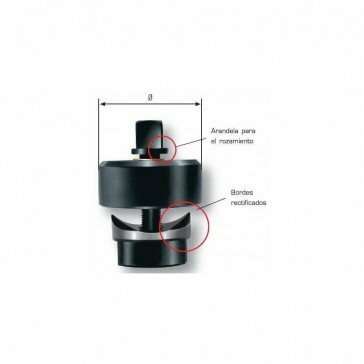 PIHER 71515 Sheet Metal Punch Sin Rectificar Ø15. PIHER 71522 – Sheet Metal Punch Sin Rectificar Ø22. PIHER 71050 Sheet Metal Punch – Ø50. PIHER 71015 Sheet Metal Punch – Ø15.